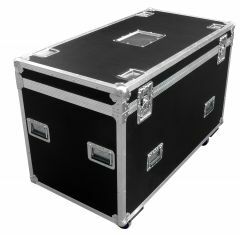 Our standard storage trunk flight case range covers a variety of sizes, although if you do not see the size you require below, please contact us to discuss the different sizes that we can provide. 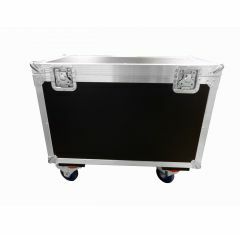 Our standard storage trunk flight cases are made from the highest quality materials and manufactured by the highest skilled production team, producing the perfect cases you won't find anywhere else. 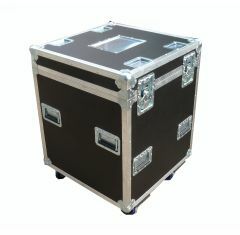 Various internal fittings are available upon request with our road trunk flight cases. Each case is manufactured from 9mm black plywood. Available in 4 standard colours: red, grey, blue and black. Other colours available upon request at an extra cost. If you wish to personalise your case, screen print and total vinyl wrapping available upon request for an extra cost. 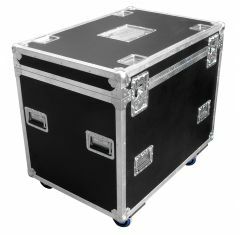 If you require any further information on our trunk flight cases or you are struggling to find what you are looking for, then do not hesitate to call the Absolute Casing team on 01635 579518 to discuss your casing needs.